We have no shortage of challenging/feel-good educational films about the Civil Rights era and Jim Crow South. 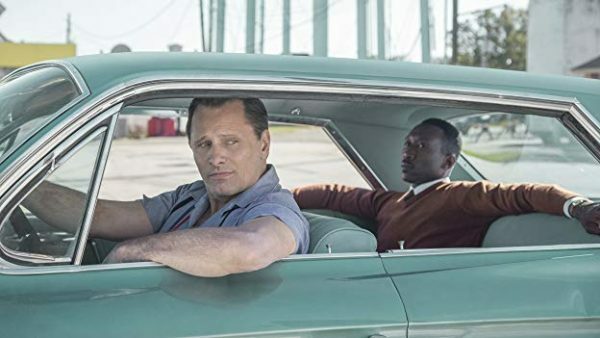 That puts “Green Book” in the position to prove its salt, and while it doesn’t necessary exceed the accomplishments of the prestige films of its ilk, it does enough to belong in the conversation among this frequented sub-genre’s best thanks to a couple of outstanding lead performances. The title refers to a guidebook published in the decades leading up to and during the Civil Rights era that listed lodging and other businesses friendly to African-Americans in a time when travelers might not know what to expect while traveling the country. 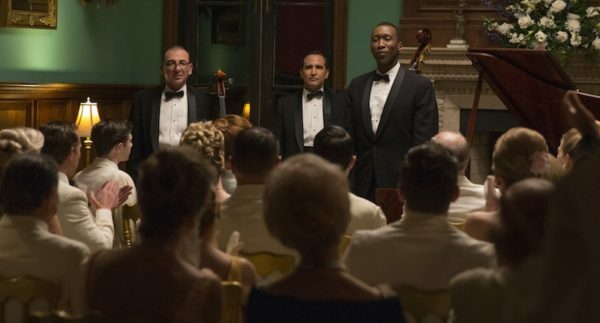 In the instance of this story, it’s a helpful resource to Tony Vallelonga (Viggo Mortensen), the hired driver and bodyguard of renowned classical pianist Dr. Don Shirley (Mahershala Ali) who embarks on a concert tour of the South. Although incredible educated, talented and acclaimed, Shirley is nevertheless a black man, and the framework of segregation (maddeningly) applies. Shirley is strangely not the main character of “Green Book” — Tony is — but this makes sense given that the story was co-written by Nick Vallelonga, Tony’s son. We consequently experience the story through the eyes of this classically Italian-American nightclub bouncer from the Bronx, eyes that are of course a bit prejudiced and short-sighted, but clearly capable of seeing the truth. The producers could’ve found any number of actors capable of playing a working-class Italian with a penchant for competitive eating, so the casting of Mortensen is both conflicting, because Mortensen isn’t the slightest bit Italian, and brilliant. Seeing him take on a transformative role with a blue-collar comedic bent is a big part of the film’s entertainment value. He’s not always hilarious, but he’s fun to watch and he can of course hit all the dramatic notes. Humor is, of course, the specialty of director Peter Farrelly, who with his brother Bobby is best known for “Dumb and Dumber,” “There’s Something about Mary” and other low-brow comedies popular in the ‘90s and 2000s. Farrelly proves he’s capable of more than gags with this effort, but there’s a fair share of scenes whose purpose is solely laughs and that tactic proves hit and miss. In general, the weaving of lighter scenes depicting an unlikely friendship and the dramatic moments brought to bear by the cultural and historical context develops into a fairly obvious pattern. Again, acting comes to the rescue. Don Shirley is already a distinctive character for a film of this kind given his wealth, education, taste and social status. Ali brings additional nuance to the role that highlights the unique difficulties of a man who doesn’t even identify with or fit in with most other black people economically and socially yet faces discrimination from white people all the same. Ali shows us that loneliness while also conveying Shirley’s courage and conviction. These performances bolster a film that otherwise fits squarely in the mainstream mold of Civil Rights comedy/dramas. “Green Book” could easily be downplayed for never veering too far from the path of these inspirational Hollywood movies, but Mortensen and Ali insure the film’s dimension and complexity enough that the cheesy uplift feels earned.